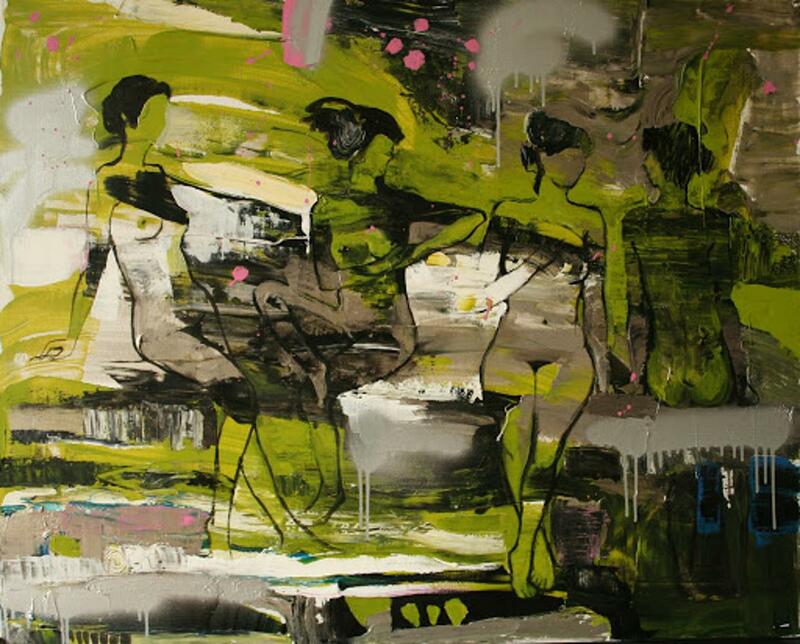 Marina Schreckling, born in Berlin / Germany, even as a child has been packed by painting. Today, after several relocations she lives in Hamburg. Despite her long journeys the subject of her paintings that she already could present in many exhibitions in the inland and abroad is the humankind â besides some other experiments. Her gusto for liquid paints and their peculiar dynamics, formed within interplay of visual and haptic perception, becomes obvious in many paintings. Hence, also watercolor painting plays a big role in her artistic work. One main focus is acrylic painting on canvas or on wooden background. The quality of the surface result- ing from the priming process is important for the color gradient and the realization of the works that are presented here. By removing the coating partially Schreckling applies a brachial technique to give her paintings transparence, ease, and at the same time a ruinous character. Here the intuitive technique corresponds with the content-rich works that draw on the metaphor of the inner, of the mystery. Spiritual abysses and the inner psychic should be clarified to the outside, and / or the personality structure, the essence characterizing a human being should be made visible. All in all, one might say: a view into a soul should be captured.